It doesn’t have to be this way. While none of us picked this career for the money, increasing teacher pay would be one of the most straightforward ways to improve teacher recruitment and retention — not to mention student achievement. And educators know it’s not just what you pay teachers, it’s also how you pay teachers. We must fund schools, and teacher salaries, so we can meet our students’ needs. Too often, stagnant salaries force teachers to shift their focus from supporting their students to finding the means to support their own families. One in five educators across the country is working a second or third job, according to federal data. If we want teachers to have time for after-school tutoring, grading, planning lessons and speaking with parents, we need to increase teacher pay so educators don’t have to forgo spending time and resources on their own families in order to support their students. One reason that salaries are stretched closer to the breaking point is that most states haven’t fully restored school funding lost during the Great Recession, and 29 states are at their lowest per-pupil funding levels in a decade (after adjusting for inflation), according to the Center on Budget Policy and Priorities. My colleagues and I often use our own money to bridge this gap. Almost every teacher I’ve worked with in my 35-year career in education has spent hundreds of their own dollars each year to ensure their classrooms are welcoming environments, with the tools their kids need to learn. This is especially true in schools like mine that primarily serve students experiencing poverty, with teachers frequently having to purchase even the most basic materials that both schools and parents cannot, such as pencils, folders and rulers, as well as spring for items like their students’ field-trip costs and sometimes even meals or clothes, according to federal data. These financial burdens discourage talented individuals from joining the profession and fuel high teacher-turnover rates for those who do. If we want to recruit and retain the most talented people to teach our kids, it’s time to target our education dollars to attract and retain talented teachers to the schools and subject areas where they’re most needed. Across a spectrum of education challenges — including teacher shortages, teacher turnover, and rampant inequity — educators surveyed in Voices from the Classroom prioritized financial incentives for teachers serving in hard-to-staff schools and subjects. Paying teachers more for hard-to-staff positions isn’t a revolutionary idea. For most jobs in both the public and private sectors, adjusting salaries to address staffing shortages is business as usual, allowing organizations to adjust to changes in the labor market in hopes of attracting better candidates. 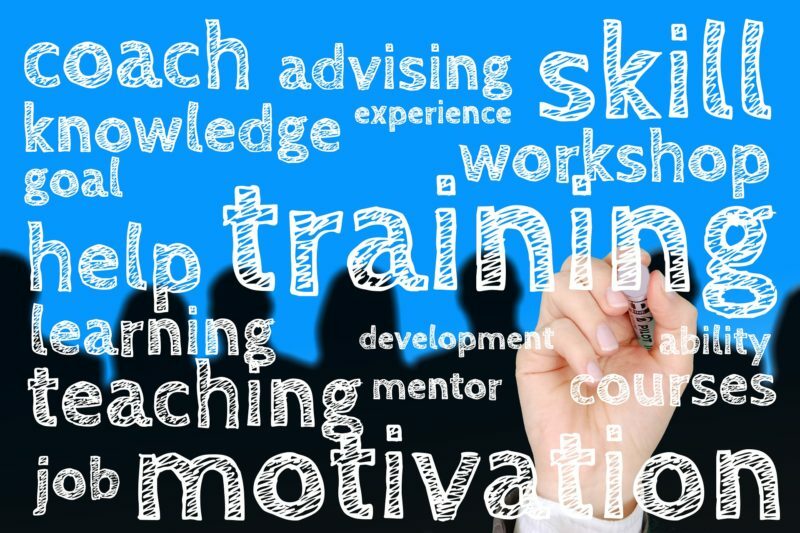 There is also a large body of evidence that suggests the same principles that have led to successful hiring in the medical, military and civic fields should also apply to education. New York City is taking a step in the right direction by expanding financial incentives for teachers in high-need schools, and more districts should follow suit. Targeted salary increases could go a long way toward creating a diverse and talented teacher pool and keeping educators in the classrooms where they’re most vital to the success of students. The research is clear that good teachers have lifelong positive effects on students’ achievement and well-being. With these changes, we can transform what it’s like to be a teacher, and a student, in America. This story about teacher salaries was produced by The Hechinger Report, a nonprofit, independent news organization focused on inequality and innovation in education. Sign up for our newsletter. 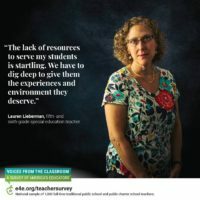 Lauren Lieberman has taught special education in Hartford, Connecticut, for 33 years, is a member of E4E-Connecticut, and served on the Teacher Advisory Group for the Voices from the Classroom survey.